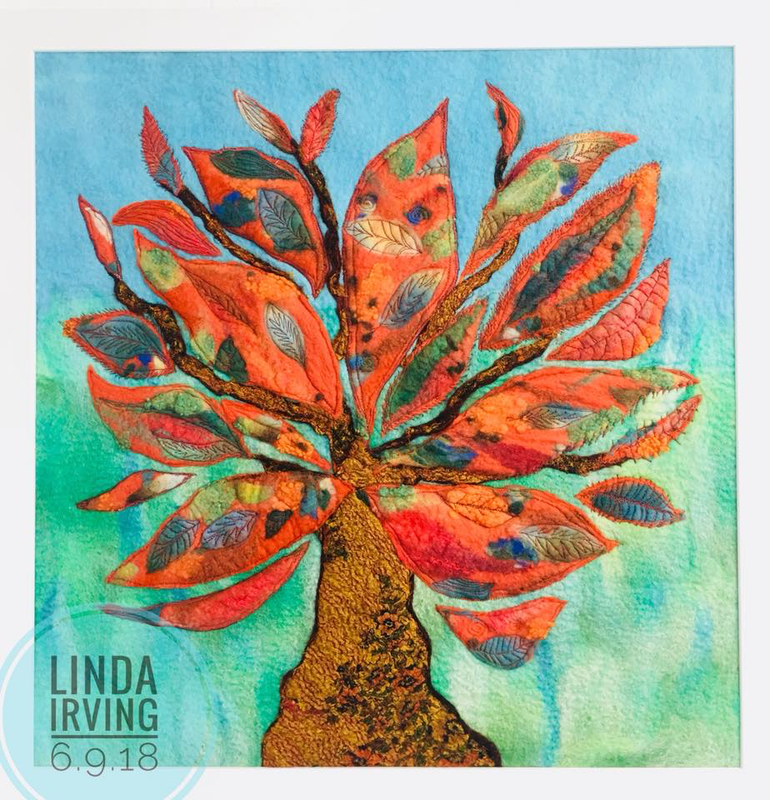 ‘Autumn Day’ and ‘Autumn Night’ – two 22 inch square framed textile pieces. 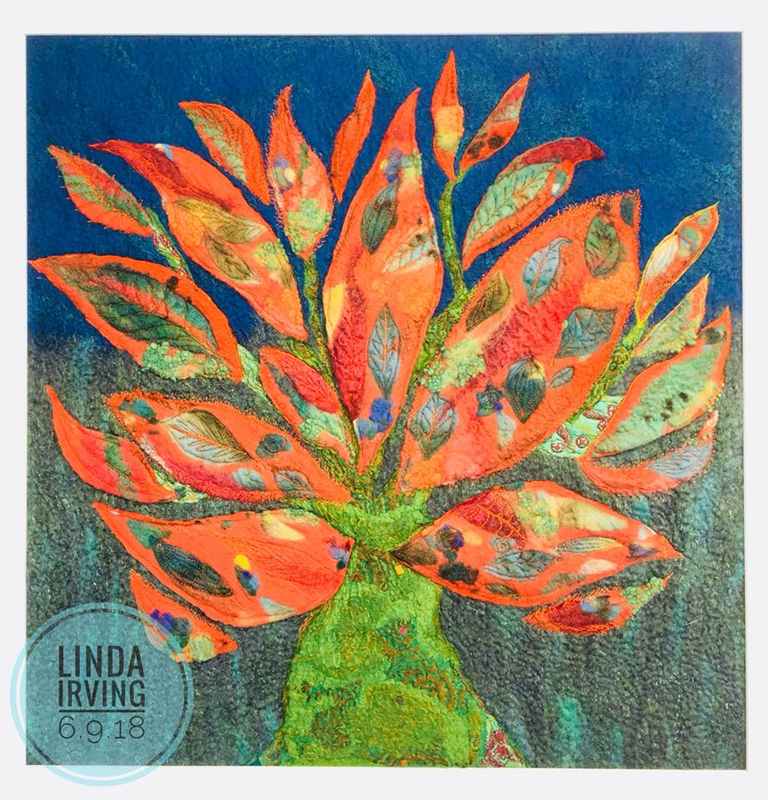 Each one has a felted background with appliquéd felted leaves intensively free stitched and embellished with nuno felted sari silk panels and woollen nepps. Each one is £275 framed plus pp UK.